Hope you all had a great week. My week was amazing. It was amazing because one of my dearest friends and sister who was diagnosed with stage four cancer not too long ago received the greatest news from her Doctors. After only three cycles of chemotherapy treatment the cancer was found to have decreased by 30%. Words cannot truly express to you all the happiness and love I felt upon receiving this news, it was so so much I literally thought my heart was going to explode. I am sharing this with you here because, this morning when I was going through my labelled folder of topics to write about and the first one I instinctively opened was the TED video by Rupert Sheldrake discussing his book titled The Science Delusion. I read the book earlier this year and really enjoyed it. His book dissects the often ignored statement that our current form of mechanistic materialism based on outdated “set” laws of physical matter or theory, is a detriment to scientific enquiry and is in-fact very destructive to the evolution of scientific research, and medicine in the modern world (note that non-modern Scientific enquiry started out as scientific philosophy based on the laws of the “gods” or “stars” thousands of years ago, all over the world from East to West). He discusses how we can’t approach important mind-body topics such as consciousness or the origins of life while we still treat matter in 17th-century style as if it were dead, inert stuff, incapable of producing life. And we certainly can’t go on pretending to believe that our own experience – the source of all our thoughts – is just an illusion, which it would have to be if 17th-centuary style laws were indeed the only reality. I am not going to go into it too much here in writing as I think Rupert does a good job of explaining it, with a sprinkle of humour, in his TED talk below. Instead I am going to share with you a short story. When I was fresh in university as a first year undergraduate, my evolutionary genetics lecturer, who also happened to be my supervisor, would continuously pull me to the side after our once a week class and try to “negotiate” with me the “fact” that we evolved from monkeys. Now, I am a very faithful person, true to the name my grandmother (RIP) bestowed upon me which means faith. I would listen to his argument but was absolutely resolved in telling him I believed we came from Adam and Eve, and they were created by God; and God is the beginning and end of everything and nothing he could give me as proof would change my faith in that. He would get red faced and insisted he could not understand how I kept getting good grades if I didn’t believe in anything he was teaching me or I was writing down in my exam papers. I would always say, I understand the theory but that doesn’t mean I have to have faith in it and believe it. I am a scientist and yes, I do understand and hold a lot of respect for the process and power of scientific inquiry, but I also believe in the power of God, the power of our minds (not brains), the power of our souls and energy, as do hundreds of other scientists around the globe. My father is also a cancer sufferer and to this date he has beaten it three times alhamduliallah, the most recent being 6 months ago. He beat it with the aid of chemotherapy and amazing surgeons who have the skills and knowledge to remove the cancer. However, he also beat it due to his faith. Despite the pain of surgery and side-effects of chemotherapy, he would still pray 5 times a day, no matter what. He always maintained a positive attitude and was surrounded by an abundance of love and prayers from his family and friends. Each time the Doctors would be amazed by his recovery. Furthermore, every time his cancer re-appeared, it followed a very stressful and negative period in his life. Rupert Sheldrake, who has long called for the need to develop medicine and science beyond the 17th century laws, spells out this need forcibly in his book. He shows how materialism only has gradually hardened into a kind of anti-faith, an ideology rather than a scientific principle, claiming authority to dictate theories and to veto inquiries on topics that don’t suit it, such as unorthodox medicine, let alone religion. He shows how completely alien this static materialism is to modern physics where matter is dynamic. He ends each chapter with some very intriguing “Questions for Materialists”, questions such as: “Have you been programmed to believe in materialism?”; “If there are no purposes in nature, how can you have purposes yourself?”; “How do you explain the placebo response?”; “How do you explain the thousands of spiritual healings that are reported annually?” and so on. Click play below and hear him out. My beautiful sister Yosra, who’s amazing news this week made my heart near explode from happiness is surrounded by a team of wonderful friends and family, globally, both near and far. She calls us her team of slug slayers, as she affectionately named her tumour the “slug”. We, under her guidance and love have been collectively showering her with a constant abundance of love and prayers to help her destroy the “slug” and restore her to full health. Her treatment cocktail includes chemotherapy, love, light, positive energy, food, more blessed food, blessed water, water, homoeopathic remedies, laughter, tears, more prayers and even more love. This woman is amazing and an inspiration to so many people, I feel beyond honoured and blessed to be a part off her team. I believe the 30% reduction in her cancer is not only due to the effects of the chemotherapy drugs, medicine and scientific research expertise of the talented Doctors around her, but a combination of all that came with #teamslugslayer and the homeopathic remedies alongside the chemotherapy. That, as a scientist, I have 100% faith in. 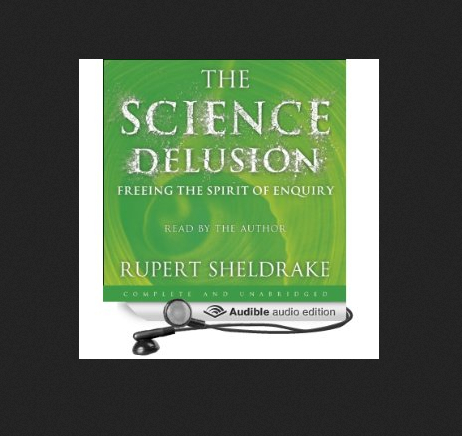 In the name of fairness, if you read Rupert Sheldrakes The Science Delusion (2012) you should also read Richard Dawkings The God Delusion (2006) for the counter argument. All things fair in love and war as they say. Update; literally 30mins after I posted this post. This happened. Beautiful. Masha’allah. We got your back monkey, we’re with you. Thank you Beyonce and the tour family for this amazing gift. This entry was posted in Health, Love, Life and tagged #cancer, #cancertreatment, #faith, #healing, #inspiration, #positive, #prayer, #teamslugslayers, health, life, love, science, scienceeducation by Faith In Geeks. Bookmark the permalink. Besides the fact that this contains simply magnificent news about someone who I care about, it’s also introduced me to The Science Delusion. Hadn’t heard of that: one doesn’t often hear about new books out here in Accra. Hope to grab a copy. But meanwhile, I’m going to go out tomorrow and celebrate Y’s good news. sigh. I STILL MISS YOU. and Thank you, glad I could give the Prof something new to contemplate and will send you the book.